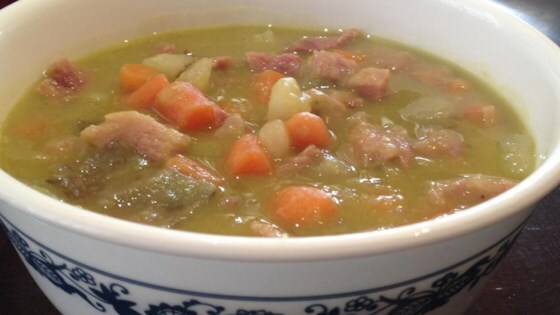 "This is a wonderful, hearty split pea soup. Great for a fall or blustery winter day." In a large stock pot, cover peas with 2 quarts cold water and soak overnight. If you need a faster method, simmer the peas gently for 2 minutes, and then soak for l hour. Very easy and filling! I used about 1 1/2 cups chopped ham instead of the ham bone.